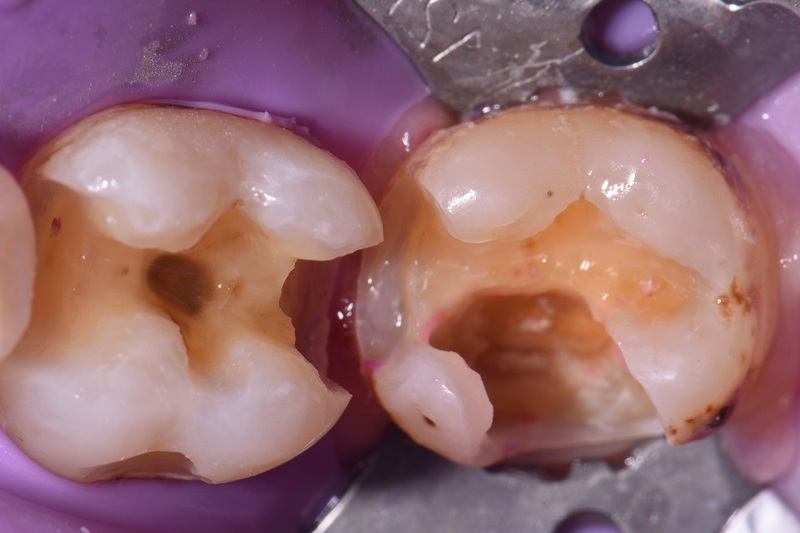 It is rare that Class II’s surprise you as much as this one relative to extent. 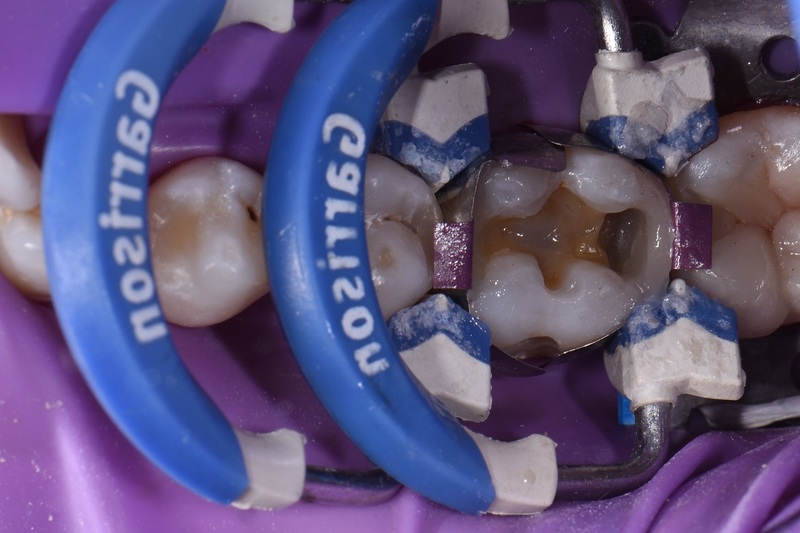 An Ultradent Omnimatrix was used for the second molar to reconstruct the missing marginal ridge and B aspect before completing the occlusal aspect. 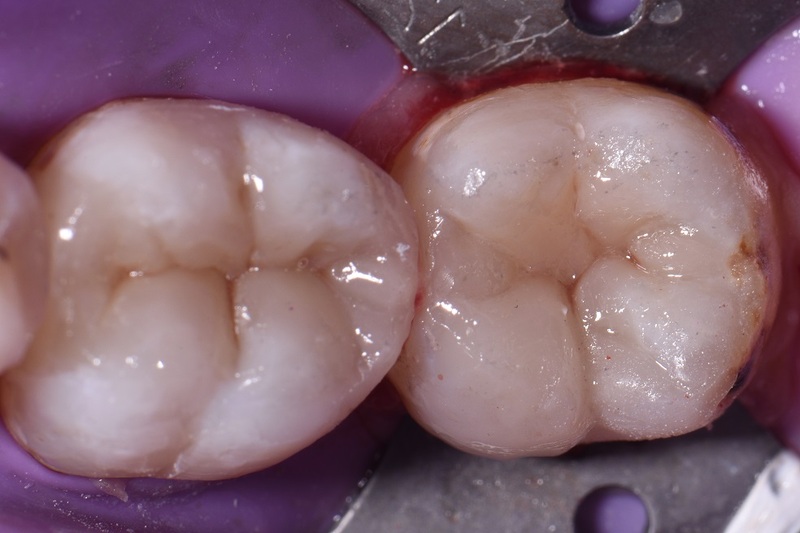 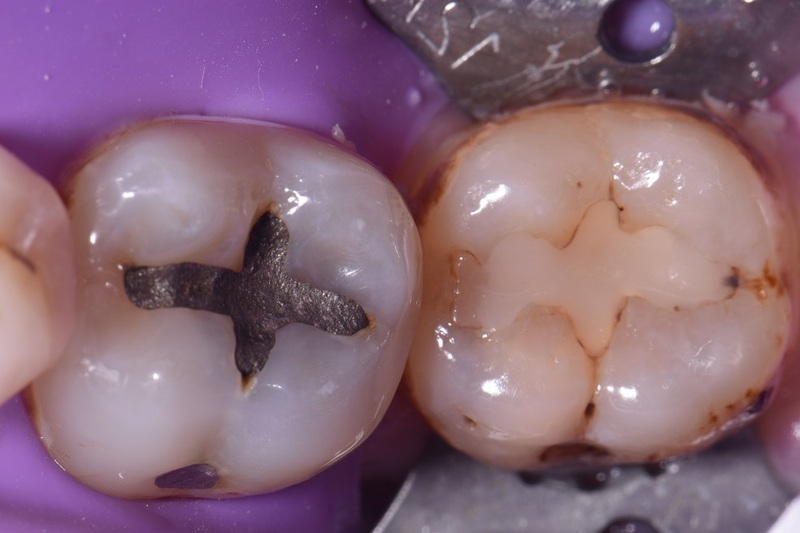 The Garrison Compositight 3D Fusion sectional matrix system was invaluable here in helping to efficiently recreate a wonderful interproximal emergence profile devoid of overhangs as well as accurate proximal primary anatomy and contact strength. 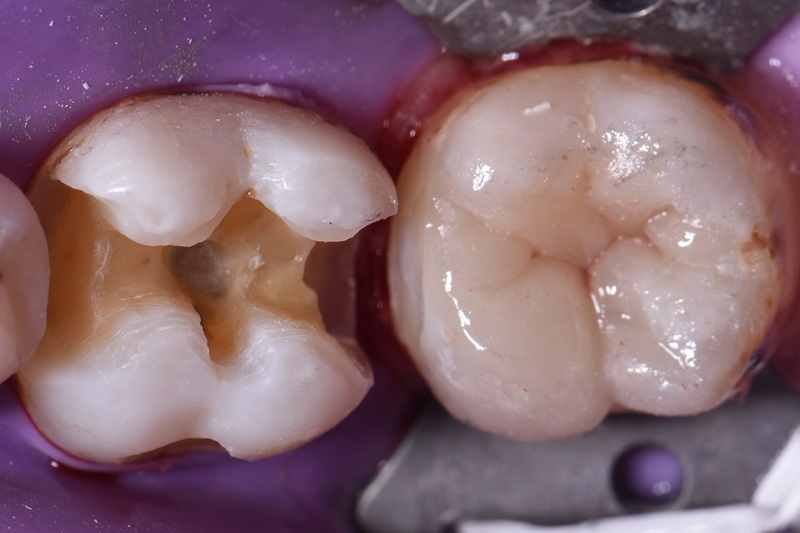 The restorations were both completed using a 50:50 blend of A2 and A3 (A2.5 Kulzer Venus Pearl) with a selective etch approach using iBond Universal.